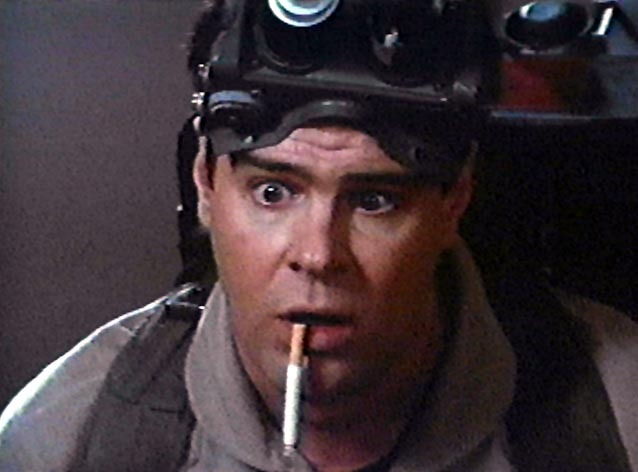 In a recent interview Dan Aykroyd gave a update on the status of 'Ghost Busters 3,' revealing he's currently working with 'The Office' writers Gene Stupnitsky and Lee Eisenberg on the script. Speaking of your film career, last month in GQ Bill Murray said something that wasn’t so nice about Ghostbusters 3. He was talking about the writers from Year One, and I think he was reacting to the box-office success and the general public view of the film, which in my view was a very serviceable comedy, and in the end I think they’ll make their money back. I think he was concerned that the writing on Ghostbusters 3 by these guys would not be up to standard, but I can tell you firsthand, I’m working on the script now and those two—Stupnitsky and Eisenberg, [writer-producers of The Office]—wrote Bill the comic role of a lifetime, and the new Ghostbusters and the old are all well represented in it…we have a strong first draft that Harold [Ramis] and I will take back, and I’m very excited about working on it.